Date posted: January 27, 2016 by: JasonDarkX2 Category: Gaming 2 comments. If you’re curious if anyone still plays Star Wars Battlefront? Or you and your fellow storm troopers are already bored of it… Well, you’re in luck as Sigurlina Ingvarsdottir Senior Producer of Star Wars Battlefront took to Playstation blog yesterday morning to announce some free content and details about the season pass paid content plans. One of them includes the Death Star, Vader will be happy. Anyways,what can you expect from today’s free content update? The introduction of Daily Challenges and Community Events. These are designed to rally the Community around certain goals and objectives, giving players the chance to earn credits and unlocks even faster. We'll have more news regarding Community Events and Daily Challenges in the days ahead. The free content update will continue into February up to March 2016. 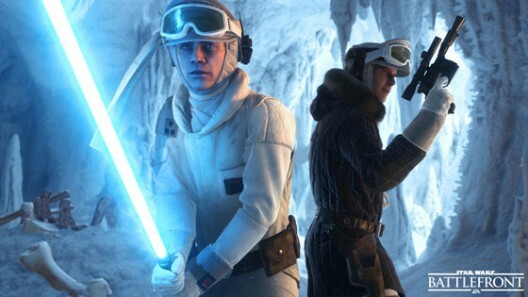 Afterwards EA and DICE will start rolling out paid DLC Expansions which are included in the season pass for Xbox One, Playstation 4, and PC Origin.